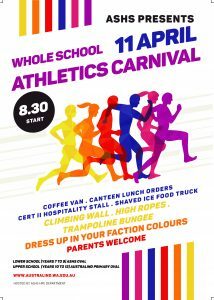 For the first time in over 20 years, we are celebrating the return of the Whole School Athletics Carnival. 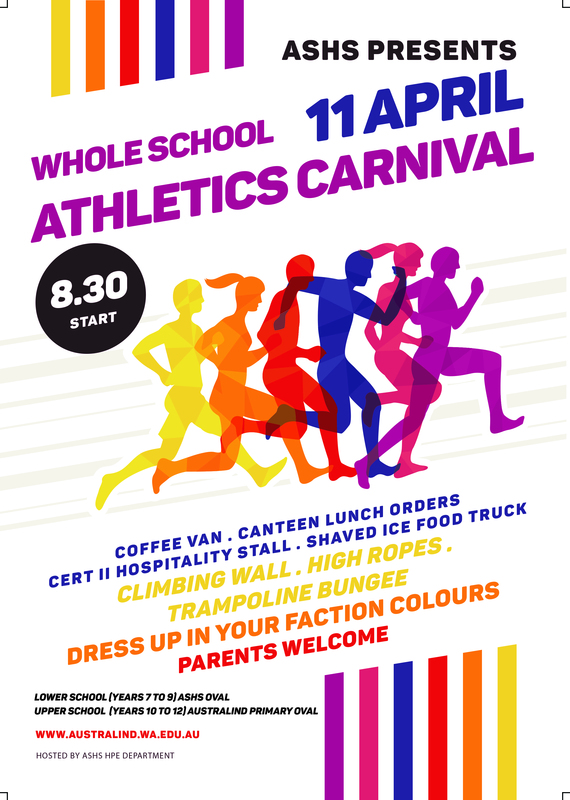 Thursday 11th April is set to be a great day for students, staff and parents. Support your Faction House by dressing up and participating in a multitude of athletic and fun events throughout the day. Parking for parents is available between 9am and 2pm at Australind Primary School, Barnes Ave entrance.